Bringing together over 2,000 delegates from retail, technology and institutional sectors of the global financial market world, the 6th edition of the London Summit promises its biggest gathering yet. ATFX will be the event’s Gateway Sponsor during both days of the summit, which will be held at the iconic Old Billingsgate Market in London. Through a variety of branded materials across the historic venue, the broker will be showcasing its competitive trading conditions, safe and secure forex environment and a wide range of its industry-leading services and products. These include a wide array of payment methods, 24/5 customer service and live help, educational tools for all experience levels and an assortment of trading conditions, including but not limited to; 1:200 leverage, industry-standard MT4 platform, zero commissions on trading accounts, and close to 100 tradable financial instruments, including 40+ currency pairs. 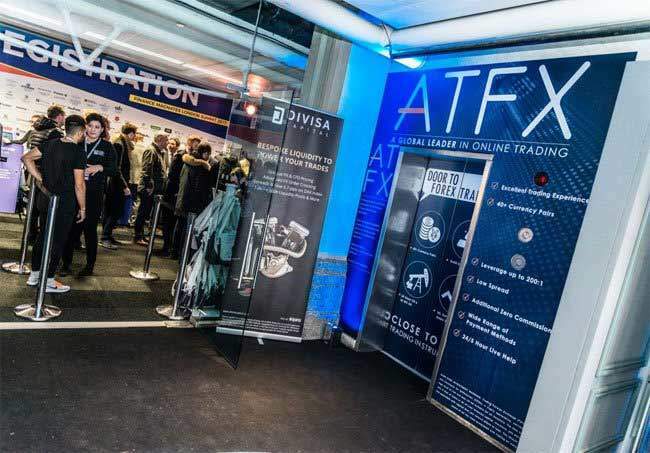 ATFX’s presence during the London Summit will be prominent due to its high-grade sponsorship package, which boasts branded walls and elevator doors in the hallways, a hanging meter-high banner in the Speaker’s Hall, a rollup banner at the event’s exhibition and a table during the Networking Blitz Opening Party. The latter will kick off the Summit’s proceedings at 17:00 local time in the Vault Room, gathering all sponsors, partners and special attendees of the event for an ideal occasion to mingle, connect and discuss today’s leading financial topics and trends. Finance Magnates is the world’s premiere source for online financial trading knowledge, built on the three pillars of news, research and events. It caters to the needs of the global trading industry. The sixth edition of the London Summit will be held between 14-15 November at the Old Billingsgate Market in London, UK, and will bring together the world’s biggest IBs, top-tier FX brokers, FinTech leaders, hedge fund managers and institutional banks. ATFX is committed to offering excellence in every aspect of the online trading experience and is regulated and licensed by the FCA under registration number 760555.